Installing concrete tile roof is quite a laborious and difficult process which needs great preparation and planning before the actual installation. 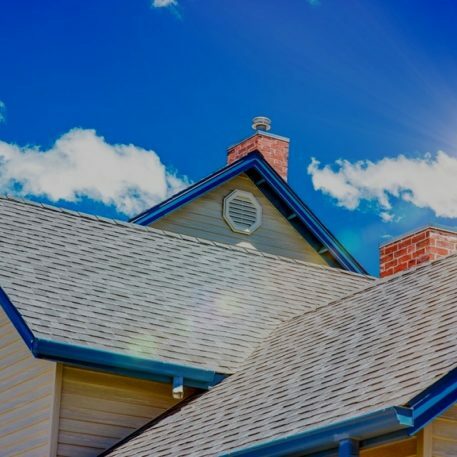 Be it you are replacing a roof which is damaged or installing a brand new roof, you need be aware of how to do it technique. Below is a guideline on how to install concrete roof tiles. At this stage there are some aspects which you put into consideration. The first factor is the tile type you would like to use but for this case its concrete tiles. What you should consider at this phase is the tiles color as some are prone to fading faster as compared to others. Also as you think of working on a tile roof just like any other roof type safety should be part of your preparations. Safety in this context would mean someone to aid in holding in place the ladder while you are working and also be able to pass you the tools you need for the work. While cutting any material use glasses to avoid any object from getting into the eye. At the preparation stage also gather all materials and tools which you would need in a single place to cut on time which you would spend descending the ladder each time to go pick. Attach the diamond blade for cutting on the saw. Cross check the roofing kit ascertaining that anything that would be needed is in place. Removing the former roofing if any. Position at one roof’s side a roll of underlayment perpendicular to roof’s eave. Roll the underway while keeping bottom edge in line with eave’s edge maintaining it above any synthetic or metal edging which may cover eave’s border. Secure laid underlayment using nails at a separation distance of 24’’ interval. The nails to be at least 2’’ above the roof edge. At the roof end cut the roll of underlayment such that it matches edges then secure using nails. Battens are the thin material strips either plastic metal or wood about 2’’ wide and 1’’ thick placed horizontal alongside the roof’s length. They are used on roofs with steep slopes for holding the tiles. Concrete tiles come with hook which hangs on such battens. In order to determine the spacing between battens, test it using tow tiles. After determining the distance maintain it. Start your tiles installation on one side then move alongside roof’s length. If there are no battens, nail directly the tiles into sheathing. But if battens are already installed first nail into battens then tiles then using clips anchor onto the battens the tiles. For interlocking tiles, nail tiles to battens or sheathing. Obstacles such as chimneys will find their way and with tiles they will be cut such that they fit around those areas tightly. And also each row’s end tiles will also be cut. After tiles installation on roof’s broad surface the tops need special capping with ridge tiles. Ridge tiles are round in shape and as per their design they can either be laid in overlapping or end-to-end style. Before you consider going for roofing using concrete tiles it is recommended that you consult roofing contractor professional because an error made while installing or choosing the material type to work with can mess you up. Concrete tiles work well for severe weather and also the material is durable generally. This roofing type as well is wind resistant as well as resistant to hail damage allowing slow to easily slide off especially if a smooth textured file is gone for. Placing of the tiles. It is the main cause of error during tile’s installation whereby tiles are placed in such a way that they overlap improperly. Such error may lead to rain or windblown snow damaging the roof. Choice of concrete tiles in terms of weight. Choosing tiles which are very light in weight is risky as although they are more expensive compared to standard tiles but then they are very fragile. For the lightweight in cases where the roof needs repair or else maintenance may get damaged or even cracked during heavy rains. Consult a professional to advice on the ideal option as per your structure. The area to be roofed. Concrete tiles type of roofing is never the best choice to go if intending to roof either an area which is complex or small. This is because concrete tile roofing is quite difficult among other roofing types and therefore, with such areas a lot of cutting is required which might be difficult and also increase cost of looking for the special equipment to perform such. With such areas additionally, it’s hard to install batten underlayment. Also the tiles should not be worked on when the weather is wet although it supports vast temperatures as in wet weather it is quite slippery. Post maintenance. If the roof you are installing no much attention would be give after installation, do not go for concrete tiles roofing type. This is because concrete tiles tend to fade very fast and therefore need installation of replacement tiles after some time. Through more than 200 years of history, the City of Farmington, Missouri has enjoyed a continual and consistent growth in its population, area and economic base. Farmington began as a family settlement in the late 1790s when the area that is now Missouri was under Spanish rule. From those early days of Missouri statehood and Farmingtons incorporation as a county seat village, the City of Farmington has become a thriving municipality of more than 14,000 people with a diversified and solidly-based economy. Major department stores, specialty shops, restaurants and professional offices are found primarily in four areas of the city: Maple Valley Center, Highway 67, Karsch Boulevard, and downtown Farmington. The businesses located along these corridors provide the goods and services that make Farmington a regional shopping center that meets the needs of people in St. Francois and surrounding counties. February Monthly Investor’s Meeting Thurs. 16th 12:00 p.m.
March Country Days Planning Meeting Fri. 10th 12:00 p.m. Accent Mktg. Grand Opening Tues.14th 10:00 a.m. – 1:00 p.m. Monthly Investor’s Meeting Thurs. 16th 12:00 p.m.
April Monthly Investor’s Meeting Thurs. 20th 12:00 p.m.
May Monthly Investor’s Meeting Thurs. 18th 12:00 p.m. Monthly Investor’s Meeting Thurs. 15th 12:00 p.m.
July Monthly Investor’s Meeting Thurs. 20th 12:00 p.m. Tournament Lunch and Fri. July 7 11:30 a.m.
August Monthly Investor’s Meeting Thurs. 17th 12:00 p.m.
September Monthly Investor’s Meeting Thurs. 21st 12:00 p.m.
October Monthly Investor’s Meeting Thurs. 19th 12:00 p.m. Harvest Night Fri. 27th 4:00 – 7:00 p.m.
November Monthly Investor’s Meeting Thurs. 16th 12:00 p.m.
December Christmas Parade Sat. 9th 6:00 p.m. Monthly Investor’s Meeting Thurs. 21st 12:00 p.m.
4245 Hunt Rd. 930 Valley Creek Dr.
19320 State Route B 820 Market St.
We call our members “investors” for a reason. Membership in the Farmington Chamber of Commerce aligns you with a strong group of businesses and organizations who support your success, and your commitment to the group is an investment that will help us foster business success (for you and all our investors), improve the economic environment and enhance the quality of life of the Farmington area. The Farmington Chamber of Commerce focuses on five strategic areas to accomplish our mission, and each of these has the potential to make your business and the entire economy stronger. 1. Business Development: The Farmington Chamber of Commerce partners with the city of Farmington, the economic development director, and other area agencies to promote projects that will better the business climate of Farmington. Our network of business leaders who believe in our mission are able to share ideas and create programs that make business stronger. Programs for both large and small businesses, tourism development and downtown development bring improvements to Farmington. 2. Advocacy: A strong coalition, the Farmington Chamber of Commerce serves as a conduit for our members to identify issues that are promoters and detractors of business. Together, our united voice can be heard in local, regional, state and federal government. We are stronger as a group than as individuals. 3. Community Betterment: A community has to provide the activities and services that make the quality of life stronger. Community events and philanthropic programs undertaken by the business community encourage relocation to our community and strengthen the experience here for our residents and employees. 4. Leadership Development: The entire community’s success is based in its leadership. Whether through formal means such as elected office, or informal means like servant-leadership in business, education or church, leaders make the difference! The Farmington Chamber of Commerce is committed to leadership development for our existing business and community leaders, and to cultivating new leaders from among the ranks of our talented residents. 5. Member Services: In addition to the collective strength of the Farmington Chamber of Commerce, your investment may yield tangible dividends for your business as well. Many opportunities are reserved exclusively for Chamber investors. What opportunities are available through my Chamber investment? Networking Opportunities. No matter the size of your business or organization, people do business with people, and your network of contacts may make or break your success. In addition to volunteer and networking opportunities throughout the year, one of the greatest opportunities that comes with membership in the Farmington Chamber of Commerce is active participation in our monthly investor luncheons, held the third Thursday of each month at Noon at the Farmington Centene Center. Opportunities to strengthen relationships and hear about pertinent issues to business and community make membership a wise investment. Business Leads. Businesses who share a common bond are more likely to do business with others who share their values. Investors in the Farmington Chamber of Commerce share the belief that Chamber participation strengthens business, and therefore they are more likely to do business with other investors. As an investor, we will provide you with leads to other Chamber investors from our membership database. Whether you need a set of mailing labels or electronic data file to do a direct mail campaign to local businesses, we’ll creatively help you make the most of your Chamber investment. Telling Your Story. If you don’t tell your story, no one else will tell it for you. The Farmington Chamber of Commerce is ready to help you tell your story through our publications, including our “Growing” quarterly newsletter, twice-weekly Chamber Update email blast, and social networking presence. As a Chamber investor, your story becomes our story and we both grow stronger. Ground Breakings & Ribbon Cuttings. Celebrate the opening, reopening, or expansion of your business with a ribbon cutting or ground breaking through the Chamber of Commerce. We will partner with you to promote the ground breaking or ribbon cutting to Chamber investors, and afterward we provide recognition of your business through sending your photo to the local media and showcasing it through our Chamber Update email and our Facebook page. Online Business Directory. As a Chamber investor, your business information will be displayed in our online business directory. The directory is available to any visitor to farmingtonmo.org, and information is searchable by keyword, business name and business category. Your business profile page will include contact information, a business description, links to your webpage, Facebook, maps and more. You can even edit your business directory information behind the scenes. An enhanced business directory option is available for additional purchase. Hot Deals. Do you have a promotion you would like to share with other Chamber investors and visitors to farmingtonmo.org? All you have to do is log in at chamberlogin.com to submit your own Hot Deal. Once your submission is approved by Chamber staff, your promotion will appear in an online list with other Chamber member deals. When potential customers click on your Hot Deal, they will find a printable coupon ready for their use. You determine the promotion and the expiration date. It’s really that simple! Bulk Mail Privileges. As long as you have 200 pieces of identical mail, your organization may use the Chamber’s bulk mail permit which will allow you to mail each piece for approximately $.11 below the standard price. Plus we will help you prepare your mailing for the Post Office, and provide you with necessary paperwork. Referral Service. Perhaps the least recognized, yet most profitable, service the Chamber provides your business is our referral service. If someone calls or visits the Chamber office and asks for an auto parts store (for example) in Farmington, we will refer them to our investors in the auto parts industry. Connections. There are times when you need to bounce an idea or are looking for a connection to businesses or services that will help you improve your business operations, financial position or strategy. We’re ready to serve as idea partners and matchmakers to help you achieve success faster. Whether you’re here for a day or a week, there are PLENTY of things to see and do around Farmington! Whether you want luxury at a spa or hotel, fun on the golf course, or anything else you can dream of, the City of Tradition and Progress is here to serve you! Missouri’s Parkland The Great Escape! Residents of Farmington enjoy easy access to some of Missouri’s most beautiful parks and wildlife areas. Farmington’s rich natural history is a vital part of the community. This portion of our web site provides links and information regarding these natural areas. Beautiful lake that offers boating, swimming, skiing, and fishing. A number of lodges, resorts and campgrounds can be found nearby. Scene of the Civil War Battle of Pilot Knob in1864. Confederate troops attacked the fort and over 1,000 men were killed or wounded in the battle which ended in defeat for the Confederates. Facilities and activities include a visitor center and picnicking, open year round. Set in the eastern-Ozark sandstone country, park is known for it’s magnificent pine-trees and wild Azaleas. Features one mile backpacking trails and regular visits by park naturalist. Activites include camping and picnicking. Over eons of time, the Black River has carved canyon-like gaps, or shut-ins, in some of the state’s oldest exposed rock. More than 900 species of plants and wildflowers occur in the park. Activities include camping, hiking, and picnicking. Campgrounds, hiking, backpacking trails, housekeeping cabins, and picnicking. St.Francois River flows through shut-ins to create the only white water in Missouri, used by kayakers in the spring. One-mile hiking trail along the river provides views of landscape as well as various woodland life. Milling complex used by St.Joe Minerals Corp during a time in which MIssouri’s “Lead Belt” produced nearly 80% of the nation’s mined lead. Mill is being restored at the site and includes a mining museum.